Out with the old and in with the new. This family-owned grocery store has been in business for over 80 years. The increase in outages had them looking to modernize their backup power system. The original generator was over 28 years old and it had served them well. The previous generator was located in the basement. 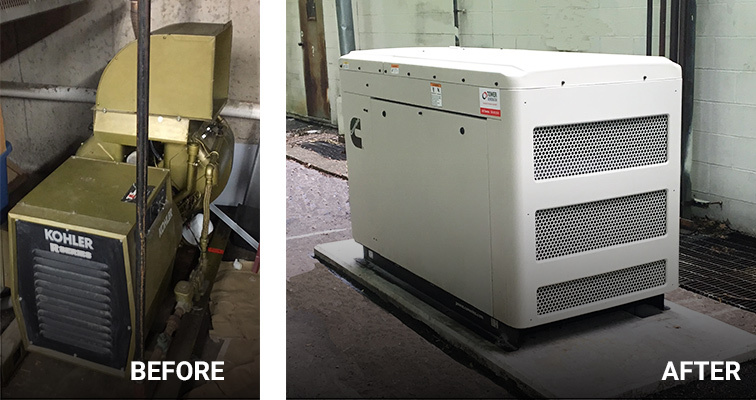 We relocated the new generator to the rear of the building, this will allow them to utilize the interior space for other things. The generator will power important circuits such as emergency lighting, registers and automatic doors. This store is once again ready for future power outages.